I hope your week’s going well. After a long weekend in Cornwall, I’m back with lots of beautiful blog posts, starting with wedding flower designs featuring lily of the valley. The post was prompted by two things…visiting New Covent Garden Flower Market last week and discovering trays upon trays of pots of this popular bloom, plus seeing Jerry Hall’s wedding bouquet which featured it, together with jasmine. It’s such a very special flower, so delicate and highly fragrant, with tiny bell-shaped blooms on arching stems. And it’s been included in several royal bouquets. For example, The Duchess of Cambridge, The Duchess of Cornwall, Diana -The Princess of Wales, Princess Anne and Viscountess Linley. 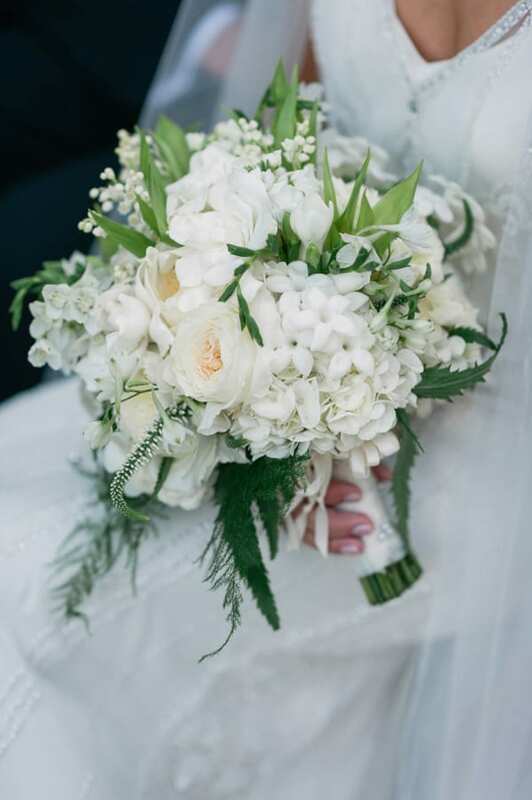 Let’s start off with bridal bouquets made purely using lily of the valley…either arranged simply as seen above or with a collar of foliage as shown below. 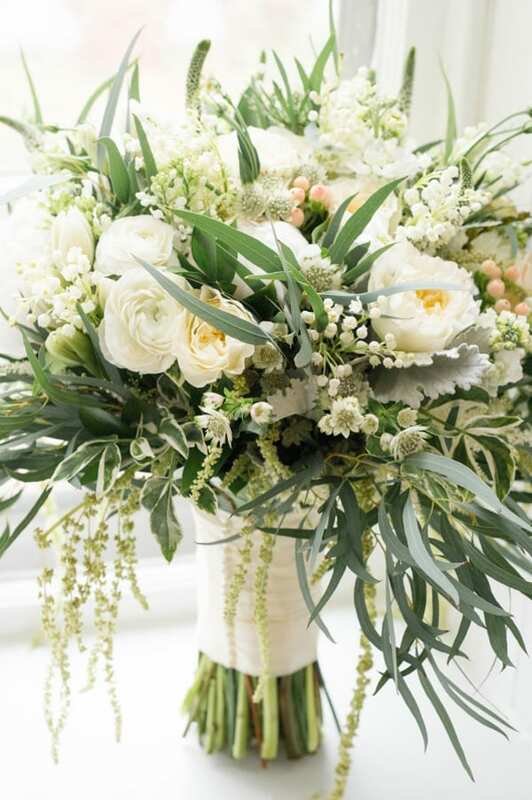 ..whilst these next two bouquets feature a variety of complementary flowers. 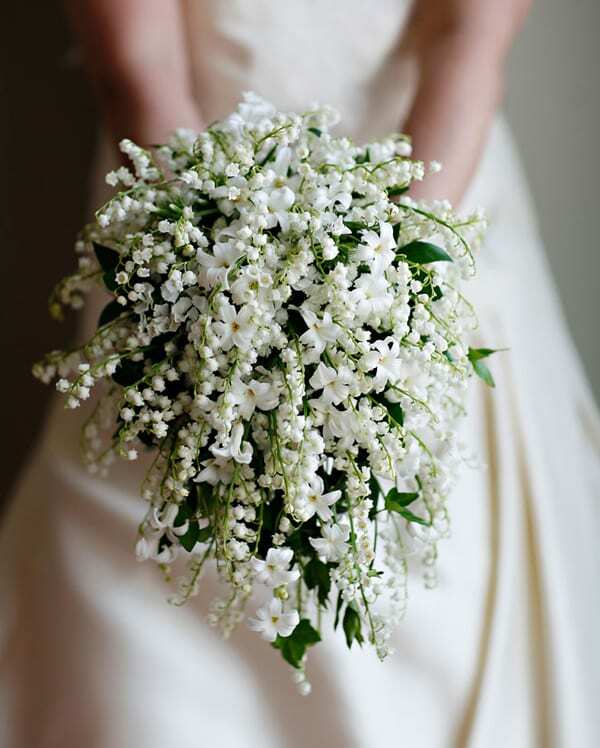 Stems of lily of the valley also look lovely when used in buttonhole designs. 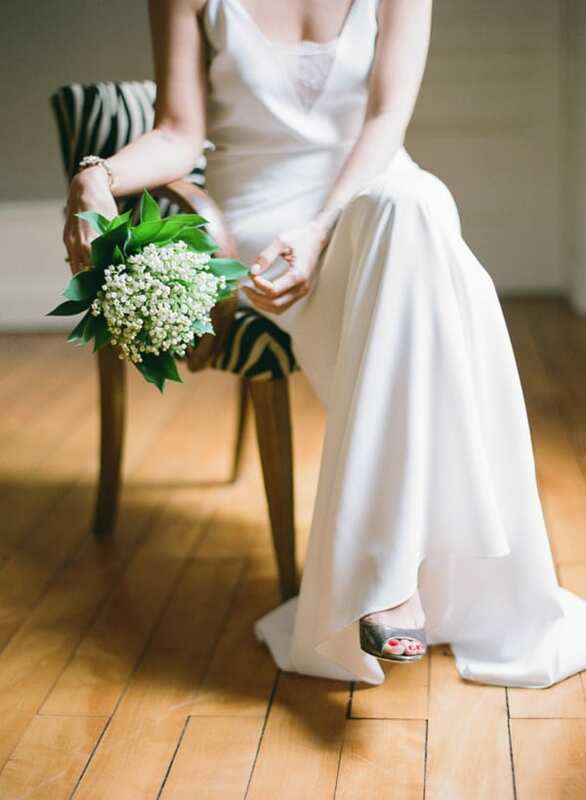 So, I hope you’ve been inspired by today’s blog post, whether you’re a bride-to-be planning your wedding flowers or you’re a florist looking for inspiration. P.S. 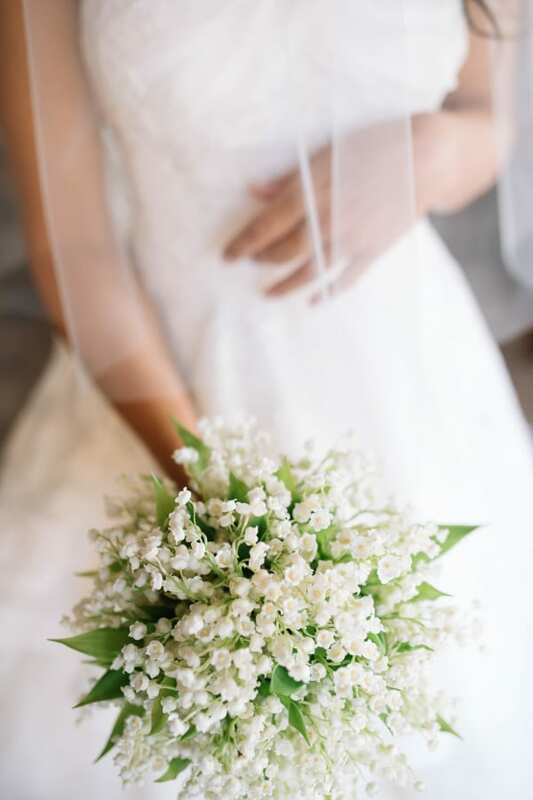 Did you know that in the ‘Language of Flowers’ lily of the valley signifies ‘Return of Happiness’?